From winged eyeliner, to a simple dash of kajal or mascara, you’re eye makeup could look perfect when you leave the house but a hint of humidity is enough to ruin your entire look. Defining our eyes is the most important makeup move for most of us Indian women, so keeping the look flawless and without it loosing its intensity is incredibly important. We give you a few simple tips to stop your eyeliner or kajal from smudging and make sure your peepers look as pretty as ever at all times. 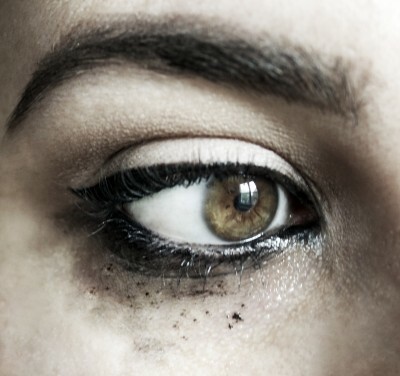 Sweat, humidity or tears (we all need a good cry sometimes) can lead to oily lids, which can cause your eyeliner to smear. So first up, wash your eyes with cool water and use a mild face wash to remove any dirt and impurities. If you still see any makeup residue use a Q-tip dipped in makeup remover or baby oil to get squeaky clean. You can even use cotton swab dipped in cold water to seal the deal. Wipe it with a soft towel, moisturize if need be and then use a primer which is not too oily like Nars Smudge-Proof Eyeshadow Base. Not only does it work as a base for your makeup but also helps it stay put in one place. Use your ring finger to apply it over your eyelids without putting pressure on your eyes. Sometimes it’s just the shape of our eyes or the texture of our skin that makes our liner smudge. So your best bet would be to buy waterproof or long wear eye pencils and liners. The formula used is such that the pigment of the colour should ideally last even if you wash your face. We think M.A.C Pro Longwear Eyeliner serves the purpose as well as Faces Cosmetics Beyond Black Eyeliner which lasts all day without creasing. If you’re a pro at acing the winged liner or sultry smokey eyes, why not just switch to gel eyeliner? They are more prone to stay in place and not smudge compared to liquid and pencil liners. Bobbi Brown Long Wear Gel Eyeliner is a favourite for us. The only thing with gel liners is that they dry super fast after application so you need to correct mistakes within 3-4 seconds. Keeping a couple of cotton buds handy is a smart idea. If you’re one who can’t leave the house without a generous swipe of kajal along your lower lash line to bring that effortless dash of magic to your peepers, then this trick is perfect for you. After applying your kajal along the waterline of your eyes, take an eye shadow brush to swipe on some translucent, compact powder. You can start from the innermost corner, taking very little powder in your brush and glide it towards the end of the liner. Do this slowly so that it’s neat and to avoid creases forming. If you’re going to be out and about through the day or have a long, crazy night planned then make sure to carry a travel sized bottle of eye makeup remover or wipes to clean up any smudges. Also, it’s a good idea to stash your liner and eye shadow in your purse for quick fixes, plus they barely take up any room in your bag. It’s the smartest way to avert any raccoon-eyed disasters! 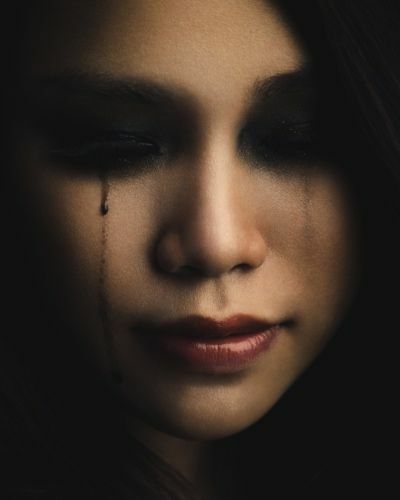 MUST READ: No More Lopsided Wings! 10 Eyeliner Hacks Every Woman Should Know MUST READ: The Difference Between Kajal, Kohl and Eyeliner - And When To Use What!